You see them everywhere. Ads touting “totally free”, “instant”, or "low cost" background checks. They all promise to get you information on anyone at any time. Just do an online search for “Background Checks” and you will see what I mean. Over 40 million results pop up from “$9.83 for Unlimited Searches”, “Background Checks - Search for Free!”, to my personal favorite, “Instant Background Checks - 100% Free”! And if you are a small business working within a budget and pressed for time, then you might possibly be tempted to give it a try. But take my advice, and Stop Right There! 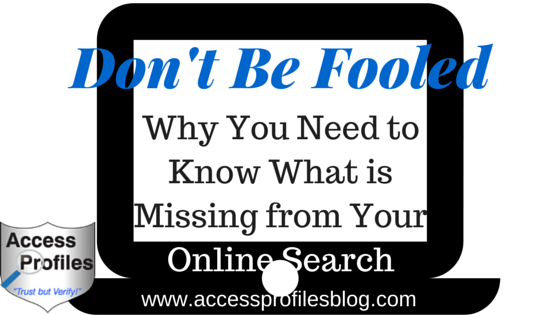 Your Online Database Search is Missing Something Essential ~ the Second Step! And that second step is where a real, quality Background Check shines. That Second Step is additional verification, and it is the key to ensuring you get accurate and up-to-date information on the subject of your search. Checking any information found through a database search against real court records is crucial. It is truly the single best way to determine whether any criminal record found actually belongs to your subject. It will also help you determine whether the record is complete. A good record should contain details of the charges, final disposition, and sentence. If no disposition is listed, then you will be able to determine if it is an active case where no disposition is yet recorded. Databases may also not contain all the information you need. There are counties that either do not report their case information in a timely manner or not at all. That can result in major holes in your report. I have written about the potential for errors in my previous article on the limitations of online databases. Find out more here. And while a database search may still seem like a cheap and quick way to go, relying solely on that information to make your hiring decisions can get you and your company into hot water. There is the real potential of running afoul of the EEOC and possibly violating state and federal employment screening laws when using an online database. Is there any doubt then that taking that 2nd Step is critical? And while it is possible for you to try and go through the courts yourself for that 2nd Step, your best option is to find a good Background Check company that can help. They will already know the ins and outs of the court system and can more easily get you the information you need. They will also be completely up to date on all compliance issues and make sure your company is hiring both safely and effectively. To find the best Background Check company for you and your Small Business, using these 5 Tips will help. 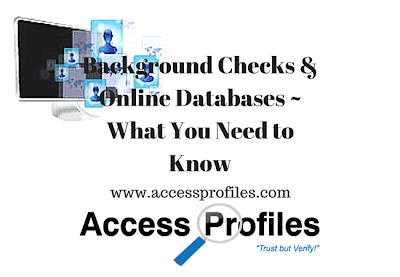 There is definitely a difference between an Online Database search and the kind of information a Real Background Background check will provide. Taking that extra step is the only way you can verify whether the information you have is complete. And if you are using those results to hire someone for your Small Business, then it is more critical than ever that you know you are basing that decision on the best information possible. Both You and Your Applicants deserve nothing less! Please Pass it On and share this article! Thanks! Be sure to Subscribe Now to this blog and you will get one new article each week focused on tips and information to help you and your Small Business! You can also find out more About Us and our Background Investigation, Business Mentoring, and Security Consulting services too! 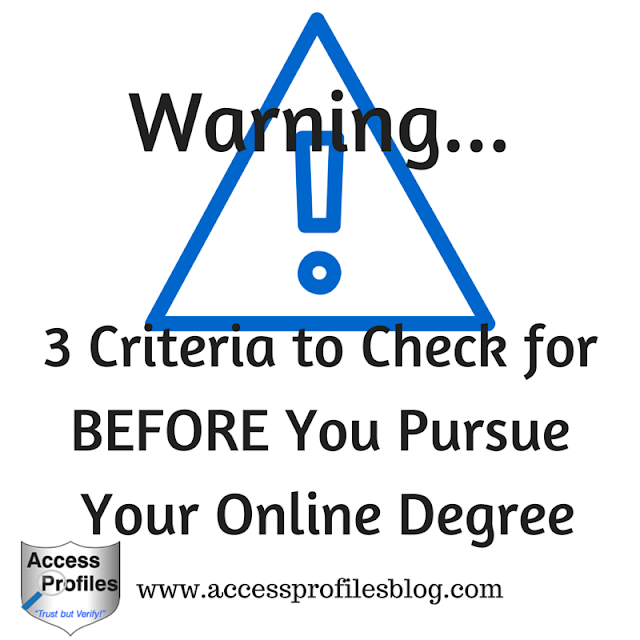 Warning ~ Check for these 3 Criteria before You Pursue Your Online Degree! Employers and HR/Screening Professionals need to take notice. Earning a degree either partially or solely “online” does not make it any less an achievement than one awarded to a student that attends class “in person”. The reality is, if it wasn’t for the availability of online classes, many would be unable to pursue a degree at all. The high cost of education makes it necessary for some to hold down a full time or at least a part time job in order to pay for it. Online classes offer these students the only viable option to fit it all in. There are also times when other responsibilities, like having a spouse or children, can make it hard to fit traditionally scheduled classes into their lives. Even the commute to and from school can be a challenge. In addition, there are many adults who have lost their jobs due to lay offs or failing companies. Going back to school is often a great option for gaining new skills, brushing up on existing ones, or even exploring new fields. Online classes are perfect for these “non-traditional” students. For these types of students, the flexibility of earning an Online Degree shines. Despite the obvious plusses of earning a degree online, there still exists the question of whether they are really as good as a more traditional degree. And worries that they are not respected by employers are not completely unfounded. The bottom line is, not all Online Degrees are created equal. This is where being diligent and doing your homework before you apply to any online university is crucial. Finding an online university that fills these 3 Criteria is key. This is Number One for a reason. Where you get your online degree matters. Only fully accredited institutions carry the weight necessary to garner respect and get you the job you want. Before applying, you should be absolutely certain to verify (ideally through the department of education) that your school has been accredited. If not, don’t apply. Only schools that are accredited have successfully fulfilled all the strict standards necessary to earn that status. They have been evaluated on their mission and goals, admission requirements, education quality, faculty, and student services. They are also subject to peer review for renewal of that status. Going to an accredited school protects students and graduates. Students know that they are attending a reputable school. Graduates have earned a degree from a respected institution that can lead to better employment opportunities. Accredited schools carry with them a measure of credibility and a stronger reputation. 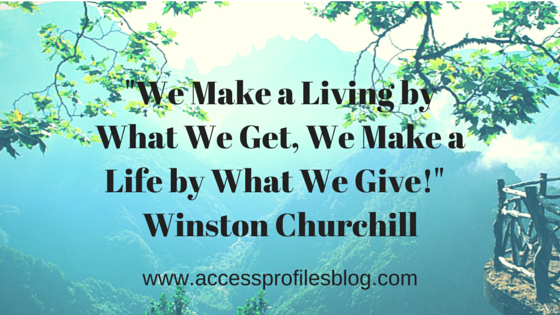 These same benefits apply to an accredited online degree. And it should not matter whether you earn your degree from a solely online institution or one that is attached to an existing “brick and mortar” school. Your school being accredited is what matters. 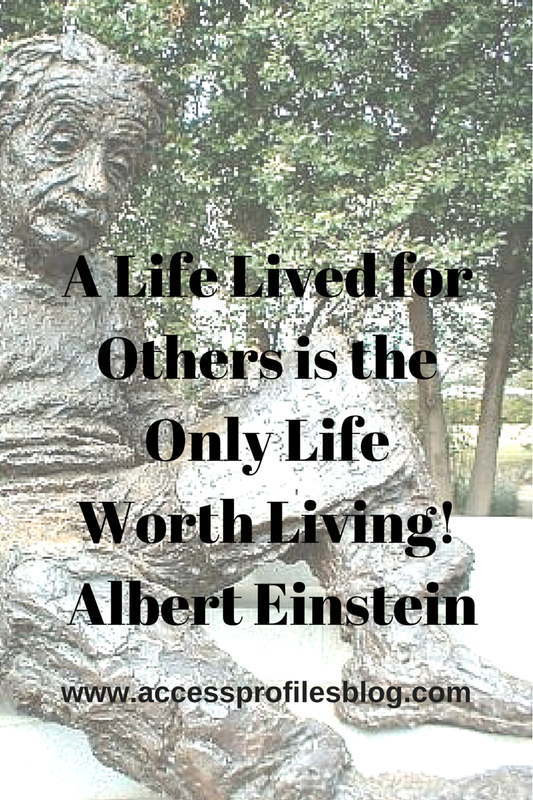 In my experience, most employers do not focus on how you earned your degree (online or not). What is important, however, is the university’s reputation and quality. Being accredited goes a long way towards establishing this. That is why doing your research before applying will save you from problems later. If your online degree is difficult to verify, it can be frustrating to employers, screeners, and even to you. When you apply for a job, often the first impression you make is through your resume. Having information that is easy to verify is a great start. (Read more about Making Your Resume “Background Check Ready” here). Before you enroll in any online university, make sure there is an easy way to contact them online and by phone. Ideally, there should be a dedicated Registrar, or equivalent, that will handle verification and transcript requests. I know from personal experience that attempting to validate a degree where there is no clear contact information to be found causes problems. In fact, I have seen employers simply move on to another candidate when this occurs. After all your hard work, losing a job because of this makes no sense. Once again, do your homework before you apply! No matter what kind of degree you pursue (online or traditional), make sure that the school you choose specializes in programs to match your goals. Just being a good school is not enough. You need to know that when you graduate, you will have the strong skills you need to get the job you want. This is even more important to non-traditional students who are often older and more focused on their goals. Meeting those goals should be your ultimate priority. This is really what employers are looking for. They want to hire candidates that bring with them the initiative and dedication it takes to earn a degree and the knowledge and skills necessary to excel at their job. That is why graduating with a degree that helps get you there makes sense. According to a U.S. Department of Education study, online education can actually be more effective than “face-to-face” learning, especially at the college level. 3) Face-to-face learning alone is the least effective method among the three types studied. In addition, online education can often take a higher level of motivation and discipline than traditional education. Having to work on a degree in addition to meeting your “real-life responsibilities” is hard. Being successful at it should be respected. The truth is, Online Education is not a thing of the future. It the reality of the world we live in. More and more of our lives are “online”. From our work to our personal lives, so why wouldn’t education follow suit? 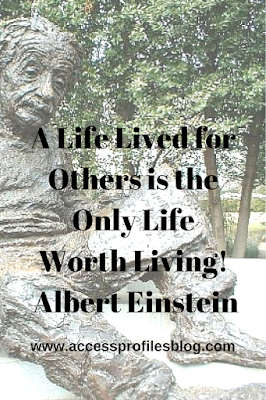 As long as it is from an accredited institution, Your Online Degree counts! It should be given the same respect as any other degree earned. Employers and the Screening Industry need to understand, accept, and welcome this....and the time for this is Now! Pass it On! Please share this article or leave a comment. We would love to hear from you! API can Help You Optimize Your Resume to Get the Job You Want! 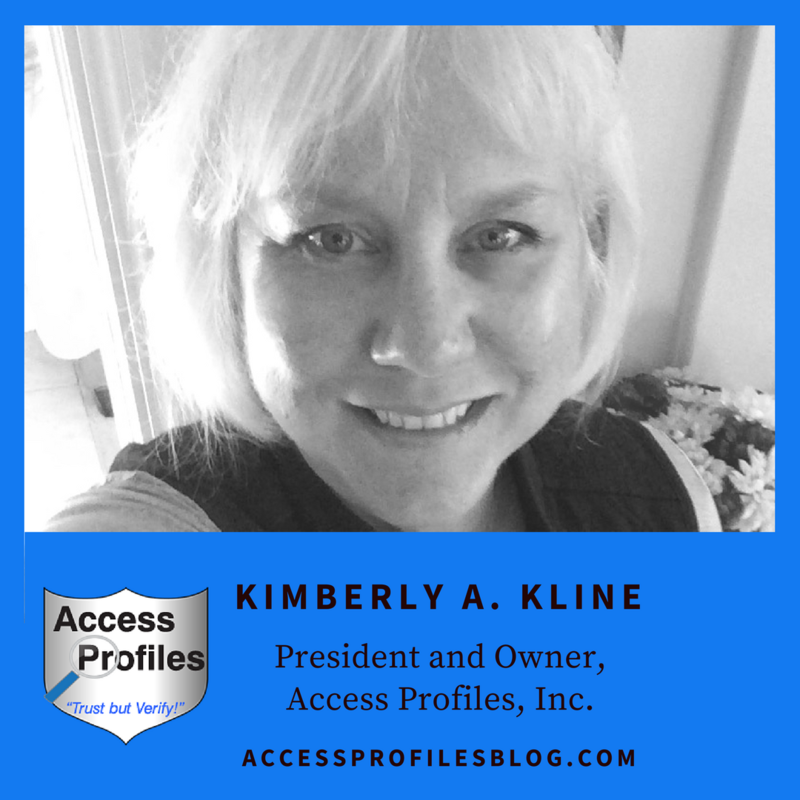 Contact Us at kimberlykline@accessprofilesinc.com or through our Website! 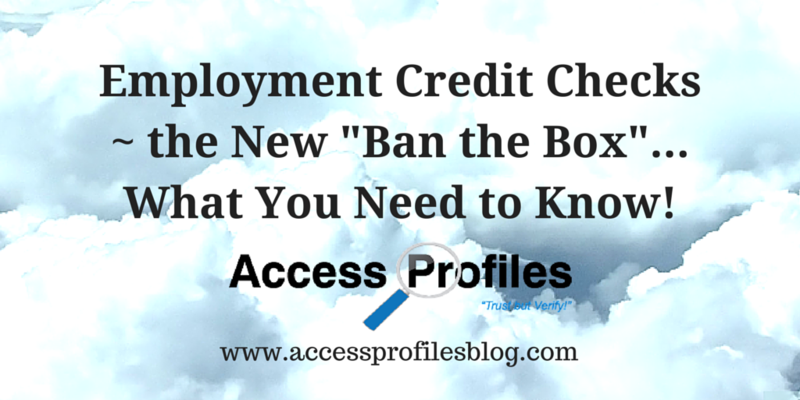 Are Employment Credit Checks the New “Ban the Box”? What You Need to Know! continues to make the news. A growing number of states have passed laws to curb or eliminate the use of credit checks in employment decisions. California, Chicago, Colorado, Connecticut, Hawaii, Illinois, Maryland, Nevada, Oregon, Vermont, Washington, and New York, have all joined in the latest wave of states to enact legislation prohibiting discrimination in hiring based on a person’s consumer credit history. The use of employment credit checks has also been addressed on a national level. The Equal Employment for All Act (introduced in the House in early 2013) seeks to amend the Fair Credit Reporting Act to prohibit or limit the use of credit reports to determine employment. Using Credit Checks in employment decisions has come under fire because many believe that it to be discriminatory. The checks are deemed an unfair measure of a person’s future job performance. People with damaged or problem credit due to student loans, a lost job or layoff, divorce, identity theft or even credit report errors can be denied jobs. Whether at the State or National level, credit checks would still be allowed for certain positions that, by law, require them. Government jobs that need security clearances, executive and managerial positions in the banking industry, certain jobs within the state or local government, to name a few. Many job seekers are unsure of exactly when an employer will check their credit. In reality, it is probably not as often as they may think. Most likely it is for positions where there are specific financial or security concerns. Details About You and Your Finances including name, address, previous addresses, and your social security number. Debt You Have Incurred including mortgage(s), credit cards, student loans, and car loans. Another area of confusion is what an employer is really looking for when they run a credit check. In most cases it is for patterns. For example, if the report shows evidence of ongoing money mismanagement, they may be seen as unqualified for a position in managing company funds. In addition, it could also lead to the perception that the applicant is susceptible to coercion. potential job performance or of their character. Their original purpose was as a way to determine whether a person was a good risk for getting a loan. And that is where it ended. Since then, it has morphed into something else completely. Employers have been the subject of a marketing effort to push the use of Credit Reports as part of their hiring process. Preying on fears of company security, these reports are being touted as an additional way to protect your company from theft or fraud. The problem is that there is no proven link between the information found in a credit report and any criminal behavior. And, as with any “online” based report, there is the possibility of errors. Mistakes concerning late payments, foreclosures, and accounts in collection do occur. Much like with that movement, the issue is whether a credit check is really necessary for most positions. It is also believed that by their nature, a credit check can lead to discrimination against certain groups that have been more effected than others by the economy and other circumstances. The first step should always be to make sure running a credit check is necessary for the position you want to fill. If it is not, then there is no need to proceed. 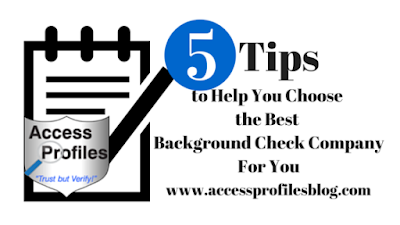 Anytime an Employer conducts a background check using a third party (a background or credit check company), it is covered under the Fair Credit Reporting Act (FCRA) and is governed by a set list of guidelines. Notification Up Front that a Background / Credit Check will be Done This includes obtaining a stand alone signed release authorizing the check that includes the name of the reporting agency. Clear Notification of the Applicant’s Rights Including the right to deny permission for the check (although this usually results in termination of the hiring process) and the applicant’s rights in the event negative information is listed in the report. Written Notification if Adverse Information is Found This should include all details of any information uncovered. Chance to Explain/Mitigate any Findings This should also include the applicant’s rights to contact the reporting agency to correct any errors in their findings. From the employer’s perspective, the key is to remember to Document Everything! On the job seeker’s end, the best course of action is to check your credit histories yourself before applying. Knowing what is listed and correcting any misinformation beforehand makes sense. “While there will be continued debate on the issue, curbing the use of credit checks in making employment decisions seems wise. The economy and job picture has put many in our country in precarious situations. Further penalizing them by limiting their job prospects is counter-productive. excerpt from my article “Employment Checks ~ Will They Soon Become a Thing of the Past?”. 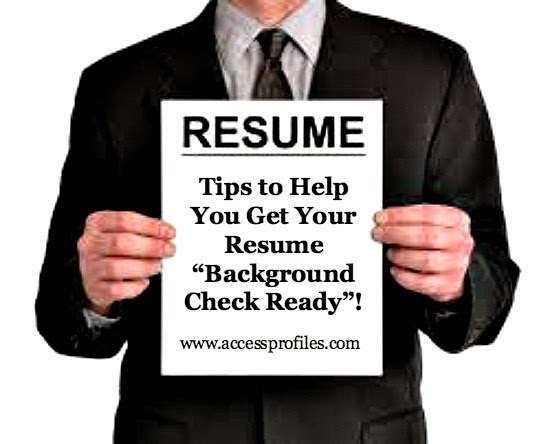 You can find more about getting ready for an Employment Background Check in my articles on “Tips to Help Get Your Resume Background Check Ready” and “Why You Should Run a Background Check on Yourself”! Both will help you put your best foot forward when the time comes to apply for the job you want! 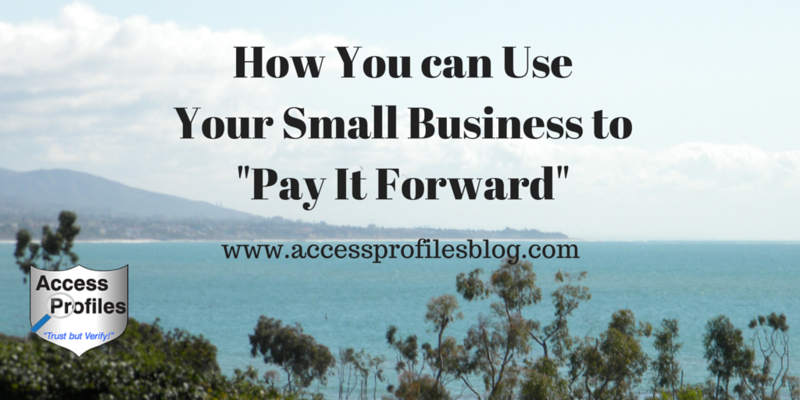 Please Pay it Forward and Share this Article ~ and we would love to hear what you think! Just leave a comment below. Thanks! Do You have Questions on When, How, and Why You can Use Background Checks in Your Business? Resources & Frequently Asked Questions page. You can also learn more about Why We Do What We Do on our “About” page and find a list of our Hiring, Business Mentoring, and Security Consulting Services too!